This One-Bedroom, Two-Bathroom accommodation is a sprawling 1000 sq. ft. and can house up to 4 guests. The master suite features either a plush king or a cozy pair of Double beds, according to your preference, as well as an en suite bathroom with a luxurious Garden Tub and walk-in shower. Enjoy a homemade meal courtesy of the full kitchen- equipped with fridge, microwave, oven, stove, toaster, coffee maker, blender, dishwasher, cookware and silverware along with a wet bar- around the elegantly-set dining table. After dinner, feel free to relax in your spacious living area, featuring sumptuous sofa seating and a cozy fireplace, for a late-night movie on your private TV. A queen sleeper sofa and additional bathroom make having extra guests an easy feat, and the room WiFi and Internet Access complete this picture of comfort and convenience. We had a great stay! Staff was fantastic, they were able to give us an early check in which we really appreciated! The pool was very nice with nice comfy loungers, love that! Just a few blocks walk & you are right downtown, sure beats searching for parking especially on street fair night! The unit was large & beds were very comfortable. Everything was clean & looked nice. I will say updating is needed in the units & hallways are dark & dingy....that didn't hinder our stay or fun, we would book here again! The price location is right. The price and location were great. The place was worn down, but it 1000% better than a hotel. Centrally located, large living quarters and good value. However, dingy main hallways, worn out rug, walls need painting. Only elevators are used to access top floors, stairs are for emergency use only. Condo badly needs a makeover and thorough cleaning. Grout and caulking in bathrooms/kitchen need replacing. Toilets are slow/low flush and handles have to be held down. Outside patio furniture needs serious cleaning..to dirty to sit on. Thank you for taking the time to share your recent experience. We are sorry to have disappointed you. We take our guest feedback as a way to improve our services and as such have shared your comments with our local team. It is through the feedback of valued guests such as yourself that we will continue to improve. We hope to have the opportunity to earn your business again the next time you are in town!. Very close to downtown restaurants and shops. The condo was clean and comfortable and the staff was helpful. Thank you so much for taking the time to share your recent experience at the Marquis Villas and so happy you enjoyed your stay. We work hard to make our guests happy and appreciate your feedback. We hope to see you again real soon! The location is great and the staff were friendly and helpful. We are so happy to hear that you enjoyed your stay with us and you took advantage of what the resort has to offer. 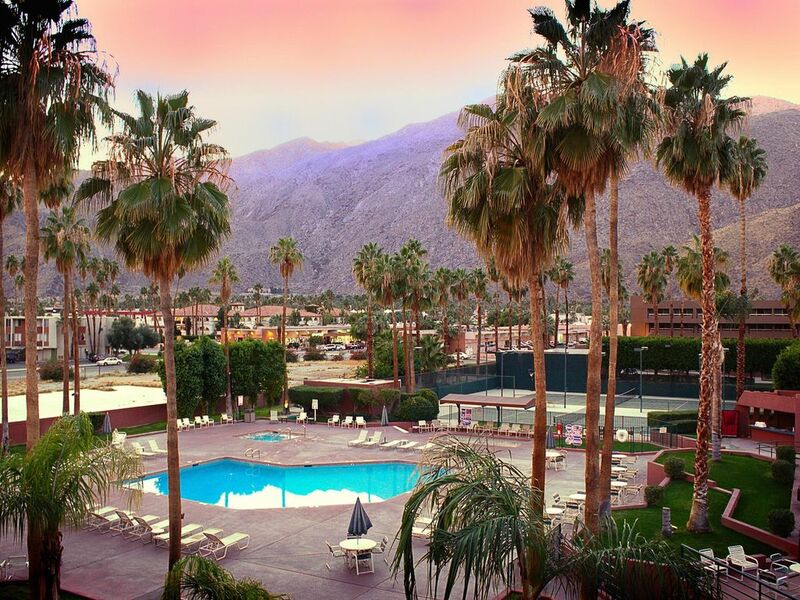 We work hard to deliver an exceptional guest experience and appreciate your comments, Please visit us again the next time you are in Palm Springs!